The interaction between industries or laboratories and academia has many potential benefits for both. Academics learn about interesting potential research problems and find application for their existing tools. Industries and labs get access to some of the most experienced mathematical modellers and problem-solvers on the continent. At the end of the week, the academic experts make a presentation consisting of the problem restatement and their solution. This is a summary of results; the teams also prepare reports for the problem posers. 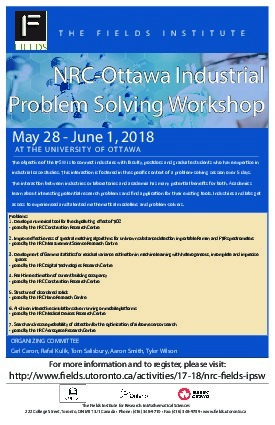 This particular Industrial Problem Solving Workshop (IPSW) is jointly organized by the National Research Council Canada (NRC), the University of Ottawa and The Fields Institute, with the support of an international advisory committee. The event will take place at the University of Ottawa from Monday to Thursday, May 28 to 31 and on the NRC campus on the final day, Friday June 1st, where each group will present their findings. This final day will be open to all NRC staff and invited OGDs, followed by a visit of the NRC laboratories and a reception. Fields Institute: Founded in 1992, the Fields Institute plays a central role in "promoting contact and collaboration between professional mathematicians and the increasing number of users of mathematics". It supports research in pure and applied mathematics and statistics. 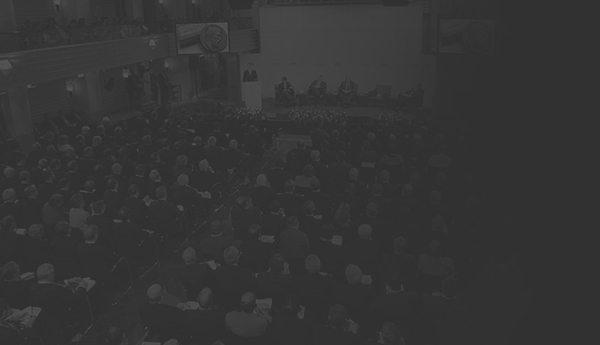 Thematic programs of international interest, academic workshops, and prizes are organized by the Institute. Of specific interest to the business community is the Commercial and Industrial Mathematics program. This program seeks to develop synergistic links between mathematicians and industrial partners. The Industrial Problem Solving Workshops are an initiative in this direction. National Research Council Canada (NRC) :The NRC is the Government of Canada's premier research organization supporting industrial innovation, the advancement of knowledge and technology development, and fulfilling government mandates. The seven IPSW problems were submitted by researchers from different research centres of the NRC . The NRC employs forward thinkers who work at the leading edge of research and technology to set a new standard for innovation. The diversity and variety of expertise and capabilities throughout NRC reflects its multidisciplinary approach to problem solving and attention to building an environment that fuels creativity. The NRC is an integral part of the Canadian innovation ecosystem. It remains relevant after 100 years of service because of its ability to solve Canada's most pressing innovation challenges and focus on achieving real economic and societal impacts for Canada. 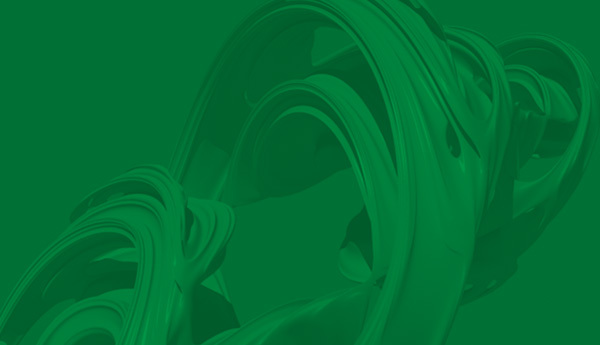 The objective of the IPSW is to connect industries with faculty, postdocs and graduate students who have expertise in industrial case-studies. This interaction is fostered in the specific context of a problem-solving session over 5 days. The case-studies in question have a significant mathematical or statistical content and are focused on finance. The interaction between industries or laboratories and academia has many potential benefits for both. Academics learn about interesting potential research problems and find application for their existing tools. Industries and labs get access to some of the most experienced mathematical modellers and problem-solvers on the continent. The IPSW will occur over 5 days. Participants will include a group of academic experts (including mathematicians and statisticians) as well as experts from an industry or lab. On the first day, the problem posers will present their problem statements. The academic experts will divide into small teams, with one team assigned to each problem. The teams spend the next 3 days collaborating on solutions to their problem, and present their solution on the final day of the workshop. At the end of the week, the academic experts make a presentation consisting of the problem restatement and their solution. This is a summary of results; the teams also prepare reports for the problem posers. The intellectual dedication of many expert problem-solvers during the workshop to the phenomenon of interest to the posers yields many benefits. These range from partial or complete solutions to the problem of interest, to long-term collaboration between the problem posers and the participating academics. The forum is an informal but intensive opportunity for companies or labs to take advantage of the mathematical and scientific computing expertise of participating researchers. Often the academic reformulation and solution of the problem enables the problem poser to find inexpensive in-house strategies. Similar workshops in Europe and North America have saved participating companies hundreds of thousands of dollars. In addition, the academic experts typically use state-of-the-art scientific and technological tools, which may prove useful to the problem poser in other contexts as well. The workshop also serves as a mechanism for recruitment of talented graduate students; the problem poser sponsors can watch this pool of potential employees in action! The potential benefits of the IPSW to professional mathematicians involved are myriad. They range from an exposure to interesting mathematical problems arising outside the confines of academia to an opportunity to try new scientific tools in novel application areas. Previous workshops have seen such involvement turn into long-term collaborations, often leading to journal publications and new research directions. Each participating company or lab contributes a problem with mathematical or statistical content for discussion during the workshop. They also commit a representative to participate in the workshop during the problem-solving phase. A company may sponsor part of the IPSW through a one-time or ongoing financial contribution. Posed by the NRC Construction Research Centre, the goal is to model how concrete containing TIO2 will weather over time in a variety of local conditions for humidity, temperature, wind direction and speed, traffic volume, type of vehicles, sunlight, etc. TiO2 is used for NOx abatement, but large-scale photocatalytic oxidation experiments are expensive, and continuous air-quality monitoring in the field is challenging. Numerical modelling is potentially a valuable tool to complement such experiments, and to design optimal deployment. Posed by the NRC Measurement Science Research Centre, this is a pattern matching problem. Vibrational spectroscopy, and Fourier transform infrared absorption spectroscopies are increasingly in use via portable handheld spectrometers, eg by first responders for detection of hazardous materials, or to detect fentanyl in narcotics samples. Current algorithms compare the signal against a large database of known signals. These comparisons are complicated by the variety of ways samples may be presented. Also samples are rarely found in pure form, so signals are often superpositions of multiple signals from the database. As more and more of these devices are deployed, better matching algorithms are urgently needed. Posed by the NRC Construction Research Centre, the goal is to estimate the number of people in a specific building, for example, in order to manage building ventilation appropriately. Sensors or IoT devices can provide extensive data, eg. from motion detectors, CO2 sensors, lighting and electricity submeters, WiFi routers, etc. By calibrating this to ground-truth data (direct observation of the number of people in a building) or with data derived from cameras, the hope is to learn to make useful predictions based on less invasive sensing. Posed by the NRC Nano Research Centre, the problem is to use nano beam electron diffraction (NBD) patterns to understand the structure of disordered solids. NBD patterns are usually used to study crystalline nanoparticles, but extending this to disordered materials would greatly expand the applicability of this technology. Patterns are typically collected from very small regions, but to handle larger regions the beam can be stepped across the sample, or the diameter or convergence angle can be varied. NBD provides information about the radial distribution or pair correlation functions for inter-atomic distances. Modelling how amorphous materials form and how this will manifest itself in NBD results would be very interesting. Posed by the NRC Medical Devices Research Centre, the problem is to improve the real-time performance of interactive simulators, such as those used in surgical training. To address realism for deforming multibody scenes, simulators running on high-end computing platforms solve non-linear finite element (FE) equations at resolution rates of the order of 100Hz. The goal is to achieve equivalent realism on more affordable mobile platforms. Computing the FE pre-conditioner can be particularly time-consuming, so the hope is that a trained AI-predictor can help to more efficiently identify the pre-conditioner to use. Posed by the NRC Aerospace Research Centre, the problem involves modelling how sensor data should be incorporated into search and rescue (SAR) operations. Currently, SAR algorithms are optimized for naked eye observations. As electro-optical/infrared (EO/IR) sensors enter the SAR toolkit, it will be necessary to optimize both the configuration of the sensors, and how the search is then conducted. NRC has a large IR dataset of SAR trials to compare with. The goal is to understand how to model airborne IR-sensor-based searches correctly, from an operations research perspective.